Pump on Demand is a rental station that provides customers with the Medela Symphony Breast Pump*, sales of Medela pumps & associated pumping accessories. Initiating, building and maintaining a milk supply can be a challenge. Sometimes our breastfeeding journeys don't always begin by being able to breastfeed our babies. But with ongoing lactation support and the use of a hospital-grade breast pump, like the Medela Symphony, mothers will be successful in establishing and maintaining their milk supply & their babies will benefit by receiving mother’s milk. Pump on Demand supports breastfeeding mothers by providing quick and easy access to products and resources**. We strive to help mothers achieve their breastfeeding goals by providing top quality service and industry leading products. Check your Insurance and Benefits Plan for potential breast pump coverage. Breast pump rental letters of support can be provided for insurance claims. I graduated from the University of Calgary with a Bachelor’s Degree in Nursing in 2005. As a registered nurse, I have worked with the maternal-newborn community of Calgary for over 13 years. I believe in family-centered care and health promotion with a strong passion for breastfeeding. I realize that breastfeeding takes time to establish and that the journey can require the use of a hospital-grade breast pump. I created Pump on Demand to provide easy access and quick delivery of a hospital-grade breast pump right to you. I look forward to supporting the breastfeeding community of Calgary! 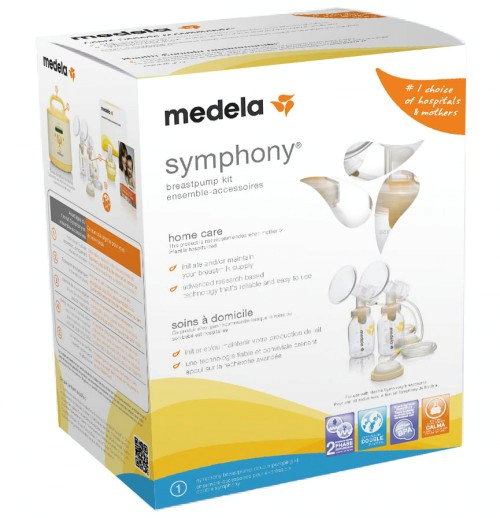 The kit is essential for use with the Medela Symphony breast pump rental. It includes the 24mm breast shields and everything you need from storage to feeding. The larger shields are required for some mothers. They will provide comfort and effective pumping. Available sizes are 27mm & 30mm, 2 in a package. Thank you! Jilaine with Pump on Demand will connect with you within the next 24 hours to schedule your pump delivery!